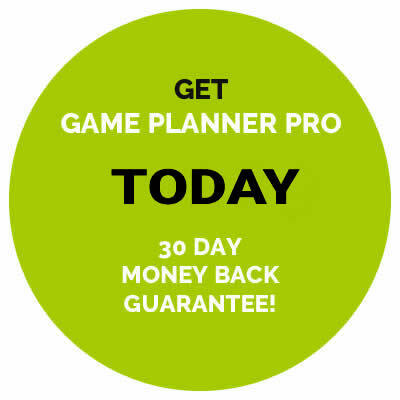 Game Planner Pro was built by long-time, highly successful high school offensive coaches in 2008. 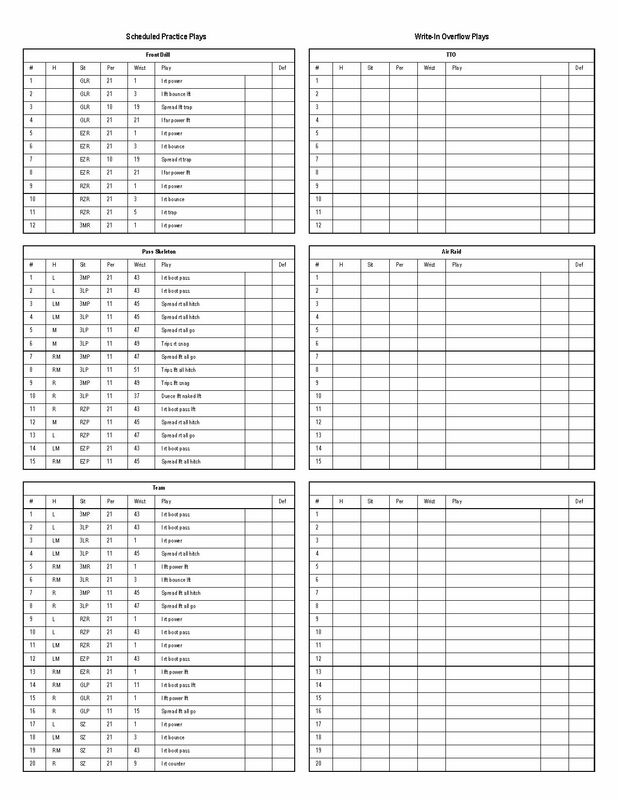 The two founding coaches then circulated the application, originally in an Excel spreadsheet, among a group of coaching friends (from different regions, of course). The small group of coaches realized that the application made the full game plan implementation process simpler and much more efficient. After scouting the upcoming opponent and discussing the game plan objectives in the weekly planning meeting, the coach enters the game plan in Game Planner Pro at the start of the week. 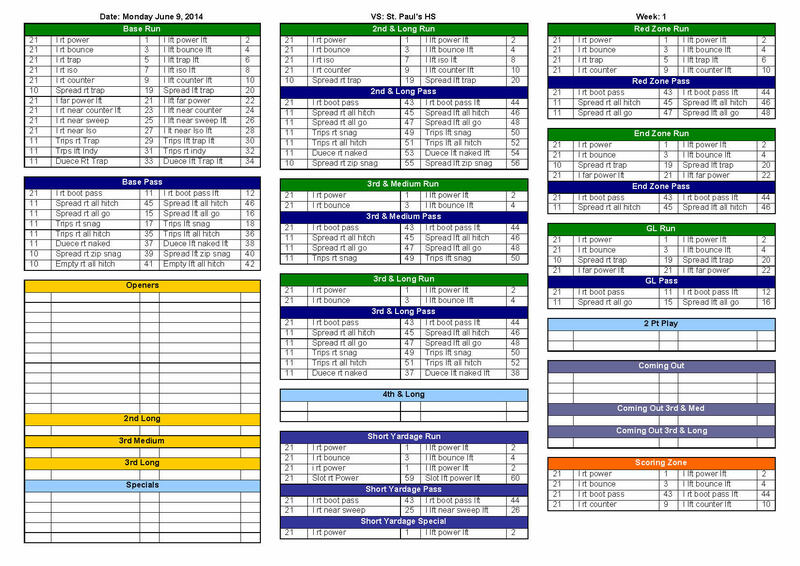 Plays, scenarios, personnel packages, formations, field position and everything else that needs to be considered for play calling and the opponent are all managed with one simple entry of the plays at the beginning of the week. Changes throughout the week are easily made. Once the plays are entered, the coach is finished with his computer time, and there is no need to enter anything for the remainder of the week. 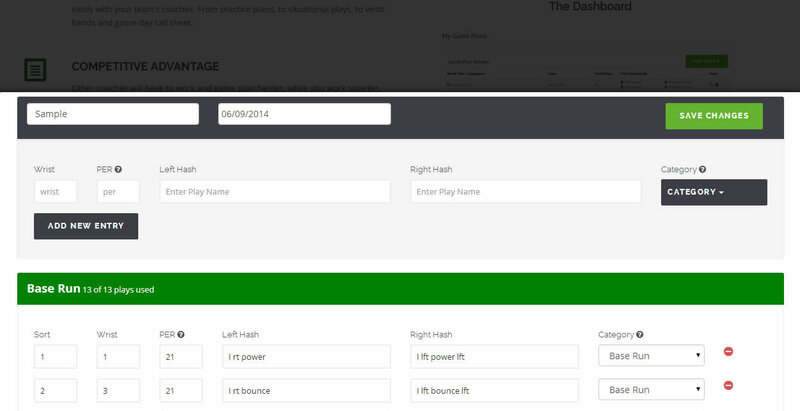 The application will break down the volume of plays into practice scripts (watch the practice scripts video), which organize the offensive practice schedule for the two primary days of the week where the team practices the game plan. 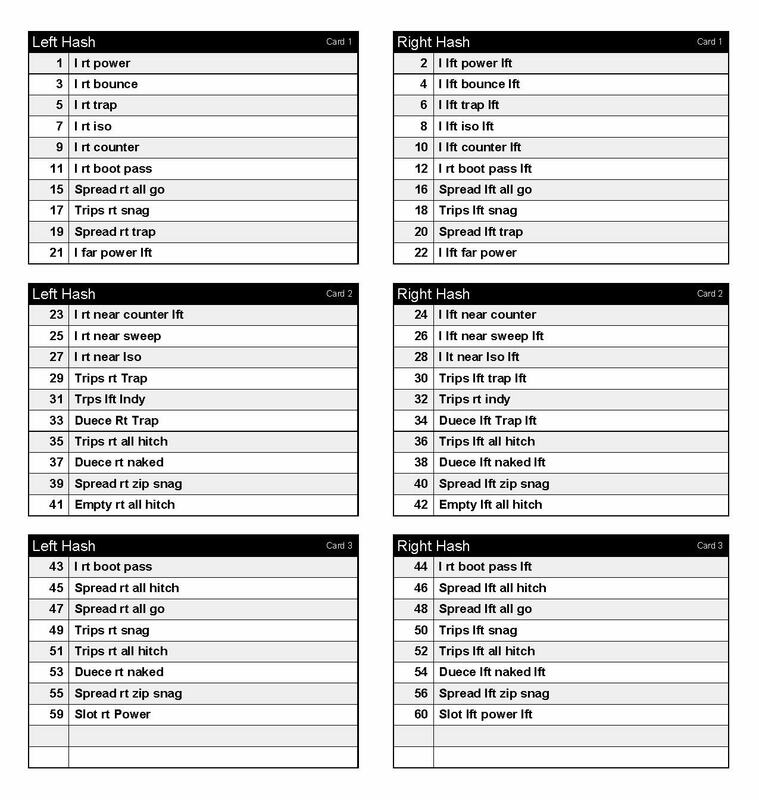 Practice scripts are easily printed and shared with anyone. Come game day, the coach is ready and well prepared with both wrist bands and the game day call sheet which is neatly organized, clearly labeled and color coded. These essential documents are easily printed on any printer.